Mindfulness meditation is generally linked with physical and mental benefits, including stress reduction and critical thinking. But a new study published in a journal by the Association for Psychological Science titled Psychological Science suggests that mindfulness meditation may negatively affect memory. The findings found that people participating in a 15-minute mindfulness meditation session were unable to distinguish between imagined and encountered memories. Researchers wanted to understand whether the judgment-free thoughts and feelings associated with mindfulness benefits may also affect a person’s ability to determine their memory’s origin. Some memories originate from having a real experience, whereas other memories are derived from imagination. The researchers conducted a series of three experiments to test how mindfulness could lead to confusion regarding a memory’s original source. For the first two experiments, the participants were placed randomly in a 15-minute guided exercise. The mindfulness group focused their attention on breathing without judgment, while the mind-wandering group thought about whatever came to mind. After the first guided exercise, 153 participants studied 15 words related to the word trash—but the words never included the word “trash.” Afterwards the participants recalled as many words as they could, such as “waste,” “garbage,” and “sewage.” The results found that 39% of the mindfulness group would falsely recall the critical word “trash” when compared to 20% of the mind-wandering group. For the second experiment, 140 people completed a baseline recall task before the guided exercise. Again, the experiment found that mindfulness meditation increased the likelihood of false recall of the critical word compared to the mind-wandering group. Finally, in the third experiment, 215 participants determined whether a word had previously been presented. Some words were presented, but others were only related to the words presented. The mindfulness and mind-wandering groups both accurately recognized words they had seen; however, the mindfulness group was more likely to identify false words. Wilson, B.M., et al., “Increased False-Memory Susceptibility After Mindfulness Meditation,” Psychological Science 2015, doi: 10.1177/0956797615593705. 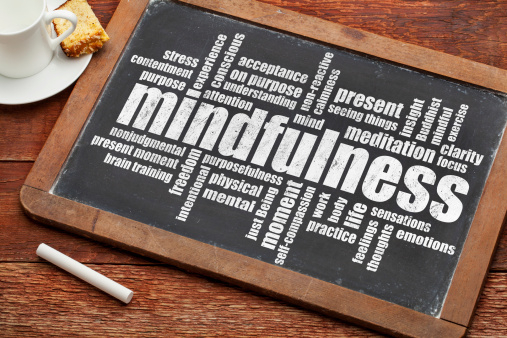 “Mindfulness may make memories less accurate,” ScienceDaily web site, September 9, 2015; http://www.sciencedaily.com/releases/2015/09/150909124838.htm.